In first grade, when all the other kids were dreaming about what they wanted to do when they grow up, my dream was to open my own restaurant. I come from a family of entrepreneurs. My grandfather's ancestors were in the restaurant business. My grandmother's ancestors have roots in farming. This made the perfect marriage which led me to where I am today. I am proud to carry my ancestors on this journey with me. Growing up my family spent much time cooking together for Sunday dinners. We still carry on this tradition today. We work together in the kitchen to prepare a meal, then we sit down, eat, reminisce, tell stories, share great food and make memories. My hope is that you will come and share the same things with us. We want you to be our family, sitting down at our table, sharing home made food, stories and making memories here at Farmhouse on North. We do not take reservations, but will be happy to provide priority seating for parties of 6 or more. We are part of one of the best neighborhoods in Barrington, and we ask you to please respect our neighbors when parking and make sure to abide by all parking signs on North Avenue. Where To Park: We offer parking and an entrance in the back of the restaurant. You'll find our driveway off Main Street; right across from St. Paul United Church of Christ (there are two driveways right next to each other; ours is the one to the west-closest to North Avenue). Don't blink or you'll miss it. Once you know where it is, you'll be a regular parker. Look for our Farmhouse on North Sign and follow the arrow. 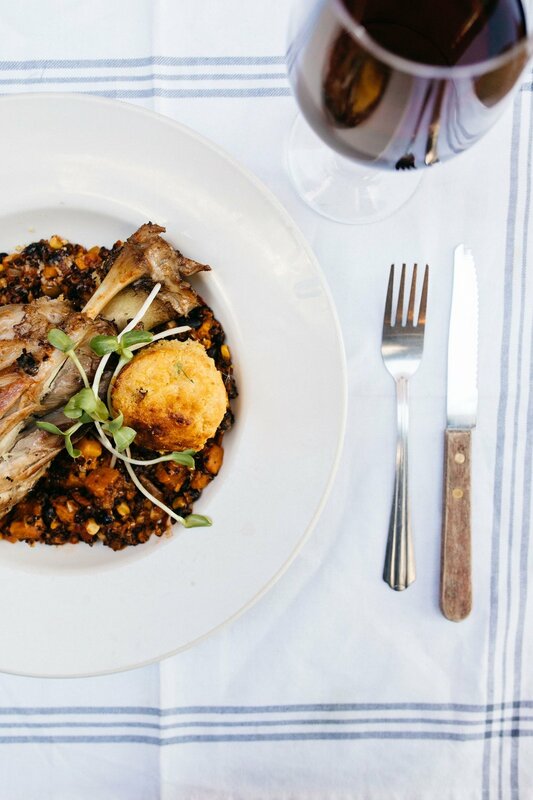 All our food is house-made, from local farms to your table. so please check back for newly added Farmhouse menu items. Ask for one of our after dinner drinks to finish off your evening with perfection! Brunch is served every Sunday from 9:00 am to 1:00 pm. 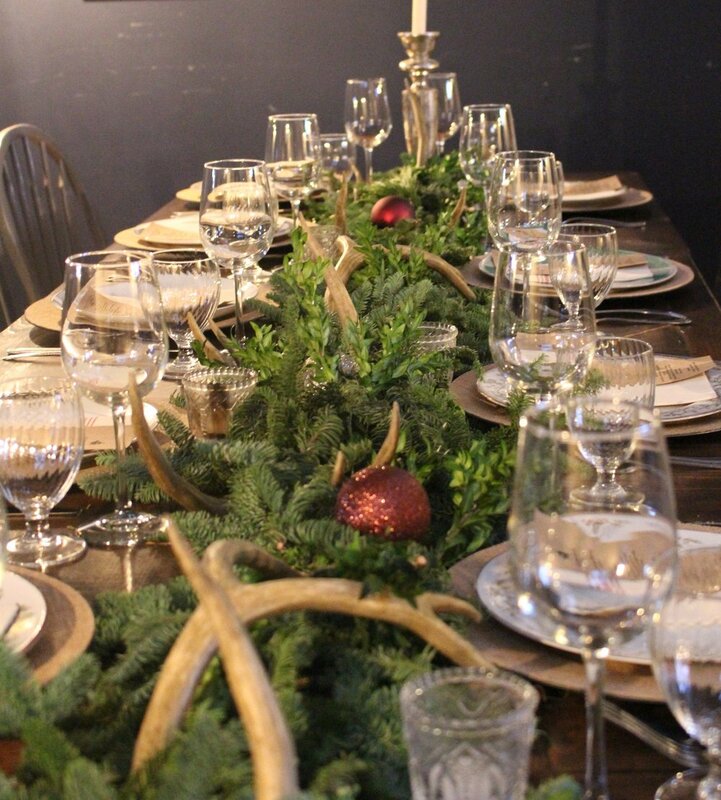 Private Parties - Let Farmhouse on North host your next party for a luncheon or dinner. We have hosted celebrations for bridal and baby showers, birthday parties, corporate and community organization lunch or dinner events, corporate meetings and company holiday parties. We customize decorations and menus to fit your specific event needs. 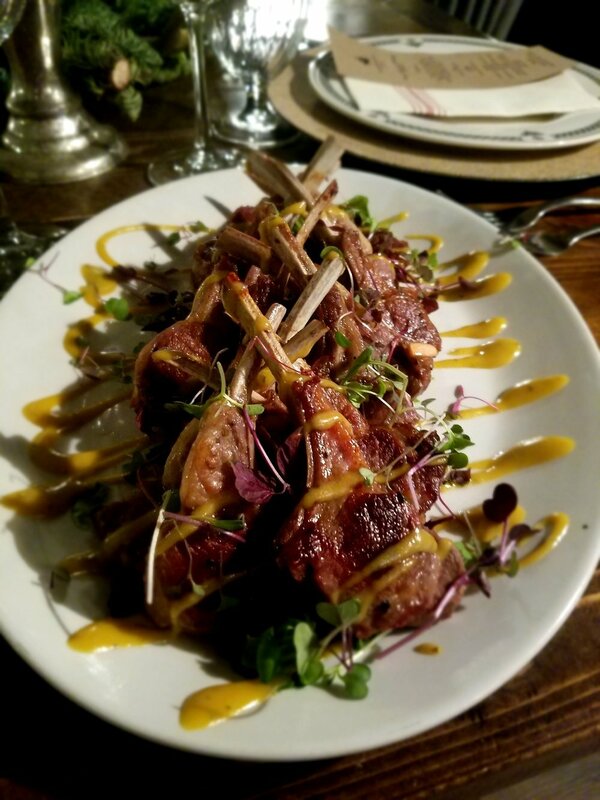 Catering - Whether you need catering for work, a special event or just looking for an easy way to wow your guests at a party, we can provide farm to table catering to suit your needs. View our menu options to the left, then contact us to place your order or we are happy to work with you for the perfect menu. We provide the perfect atmosphere for your holiday parties too! For those nights you just don't feel like cooking, we can have dinner ready and waiting for you to take home too. 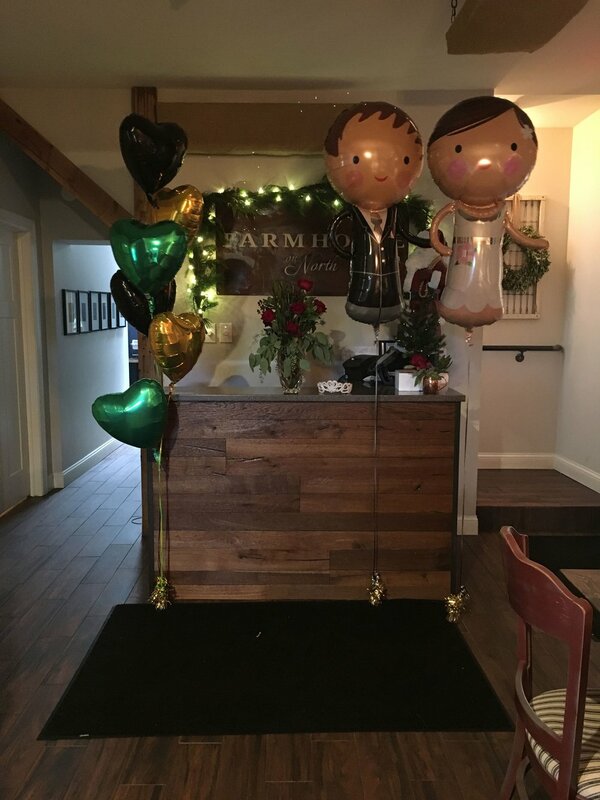 Call us to discuss your party or catering needs - (847) 387-3408.